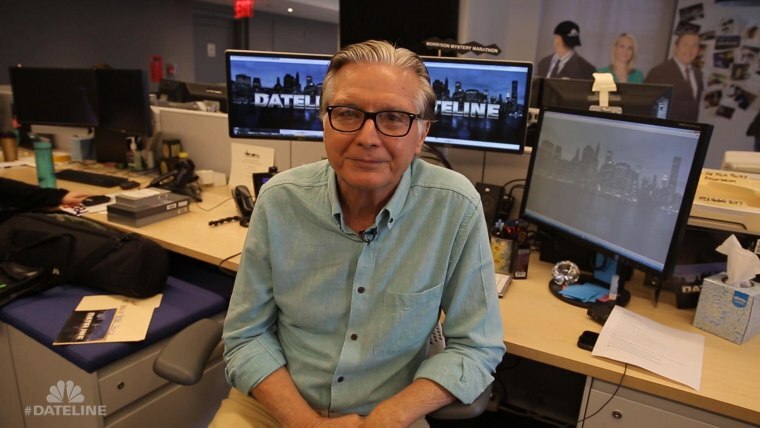 Vince Sturla, Dateline Producer: Keith and I were in Kauai working on another story, and we were sitting at a café and we saw a sign that a father had posted, seeking information about his murdered daughter. And we started seeing these signs everywhere, and called the father. And first he was hesitant to speak with us, but after staying in touch with him for several months, he decided to talk with us. And to allow us into his life and into his search for justice for his daughter. Dateline: How often is it that you come across cases in such a way? Vince: You know, quite often actually. You know, once you’re in a community -- going through local papers, talking to the local cops, prosecutors -- They’ll always say, “Hey have you heard about…?” And that’s how we find a number of stories that way. Vince: This story is about a young mother who was going through a separation from her husband. No enemies, no criminal history. And she was found strangled in her car, that was in her garage. And she was discovered by her boyfriend, someone she started seeing when she separated from her husband. How he discovered her body was somewhat suspicious, but then she was having a series of run-ins with her ex-husband. So both were very suspect. Vince: Really just anywhere in Kauai. It’s just an exotically beautiful island. And every location there was unique. Vince: Keith is genuinely a delight to work with. I mean, what you see on camera is what you see off camera. He’s a sincerely nice person. He’s great with people in the field. He’s just kind and gracious. And it’s really interesting, sitting through these interviews that sometimes go on for hours, though we don’t actually get to put it all on camera. People afterwards will sometimes thank him, and say it’s almost like a therapy session.